Our friends over at Tuppence Magazine, who previously made this infographic detailing the mayhem of the Mad Max trilogy, has been nice enough to write an exclusive guest post about the 4th film. In the long run up to the release of Mad Max: Fury Road, there was more than enough time to look back on the previous three movies in the George Miller canon. The result was the Mad Max infographic, courtesy of the Movie News section of Tuppence Magazine, which covered everything from the price of fuel in the year that each of the movies were created, to the number of baddies that bit the dust, the crazy weapons that were used and the supercharged vehicles that revved it all up. Now that the fourth movie is out, we can see how it stacks up against the other three movies looking at the same factors. The short answer is that however you look at it Fury Road has taken things to the next level and in all fairness it’s done a pretty good job of breathing new life into the franchise. Things have obviously changed a lot in terms of the value of money compared to 1979, but the reality is that the new movie has eclipsed the box office success of the previous entries by a good way. 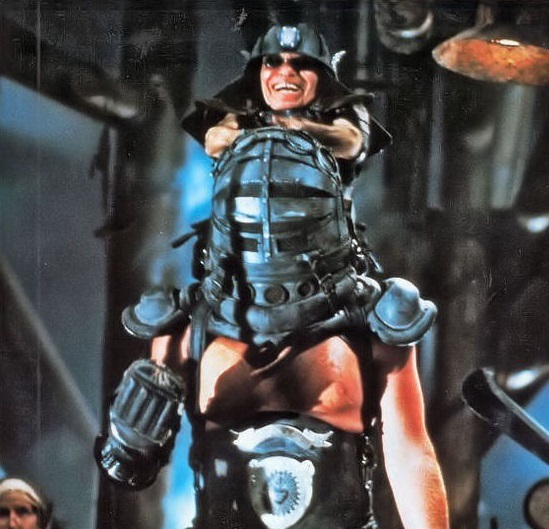 The original film was the most successful of the initial trilogy bringing in around $100m worldwide, with Mad Max II trailing it with c. $50m and Thunderdome just $36m. However, Fury Road has already taken in excess of $230m worldwide and it’s still playing, so maybe the sheer volume of deaths, weapons and motors, along with the long development time, has paid off for George Miller. 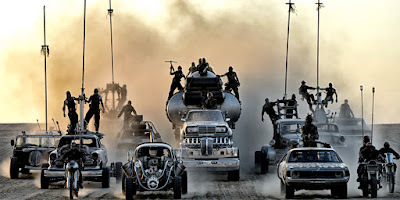 Fuel, or more importantly the lack of it, is one of the central aspects to the Mad Max universe and if anything it’s starting to look like the fuel wars may be upon us if the price increases over the years are anything to go by. In 1979 it was just 14 Australian cents, 15 US cents and 22 Great British pence per litre. This rose to 25 AU cents, 30 US cents and 35 GB pence in 1981 and 50 AU cents, 27 US cents and 43 GB pence in 1985. 2015, on the other hand, sees things standing at a staggering £1.14 per litre in the UK and $1.47 in Australia, although the US ranges between 61 cents and 76 cents per litre depending on which state you’re in. Hopefully, we’ll have hyper-efficient electric cars, though, long before the potential of a fuel-based apocalypse can set in. Who runs Bartertown? Master Blaster does. While Mad Max is widely regarded as a brutal cult classic it actually only contained five bad guy deaths, including gang leader Toe Cutter, played by Hugh Keays-Byrne, who also stars as Immortan Joe in Fury Road. Things picked up slightly in the second film with 18 clocked up on the Grim Reaper side of the equation, but dropped off significantly again for Beyond Thunderdome, which had just 2 bad guy casualties. All of this pales in comparison to the humungous figure of around 39 deaths that were racked up in the fourth film in the series. If that’s not enough, there were also quite a few more raiders and War Boys that were unseated from their cars, bikes and rigs without us being able to tell for sure whether or not they would have bit the dust or survived the impact, so the true death-toll could be even higher. That's gonna hurt in the morning. 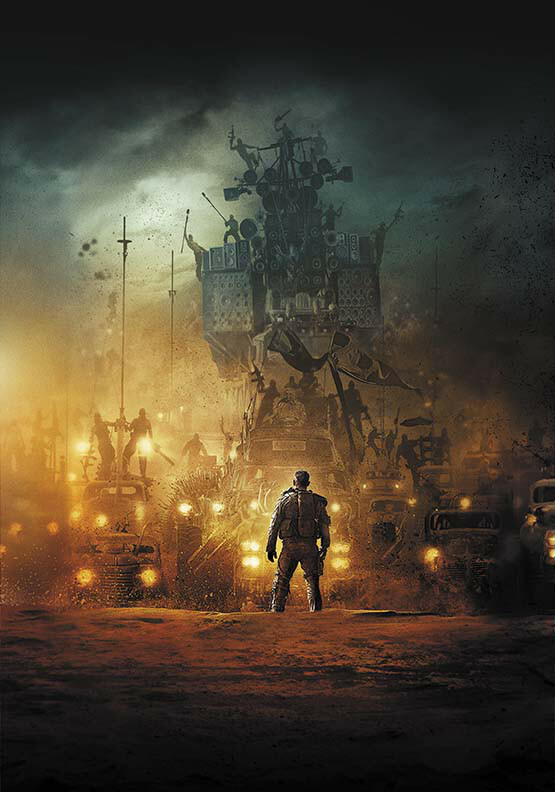 Mad Max: Fury Road is a whole lot more explosive than any of the previous movies, delivering up everything from rocket launchers to flame throwers. However, it just falls short when you compare it to the iconic weapon from the previous films, including Toe Cutter’s Mauser pistol, Humungus’ sighted hand gun or trident, the Gyro Captain’s snake, the Ferel Kid’s bloody boomerang, Blaster’s war hammer or Ironbar Bassey’s neck noose. The best contender has got to be Furiosa’s sniper rifle, which performs very well in terms of taking out the attacking War Boys and raiders that besiege them out in the desert. There are also plenty of turret guns, harpoons, exploding spears, a Gatling gun, machine guns and Bullet Farmer’s unconventionally long pistols to add to the intensity of the epic driving battle. Here Fury Road comes into its own, kicking things up into seventh gear at the very least. Not only is Max’s supercharged V-8 Pursuit Special back in the action, but there’s also Furiosa’s massive War Rig, a huge monster truck, Joe’s double cab pickup beast, a massive drum and electric guitar rig and Bullet Farmer’s mental tank car. For purists, there are also plenty of motorbikes with everything from the Many Mothers’ long distance hogs to the mountain raiders’ motor cross bikes. All in all, it’s looking like the new film might just about have the edge over the previous movies on paper. However, for fans of the original cult classic it might take more than a bigger kill list to shake them from their old allegiances.